DDOT recently completed some updated, or new, standards for things like sidewalks and bike lanes. It's a little wonky, unless you're passionate about the dimension off a "brick sidewalk setting bed" (1.25 inches of sand max! Time to fire up the angry email machine.) But it does include some things of interest to cyclists. But perhaps most interesting is the new standard for a bike lane closure due to a work zone. It also includes striping for a one-way and two-way protected bike lanes with parking, installation and design standards for bike racks, on-street bicycle parking standards - both near the corner and mid-block, and symbol and signage standards. Arlington has released a new Draft Sector Plan for Rosslyn, and among other things it recommends adding more bike-share stations, more "dedicated bike lanes and bike routes offering priority access to the regional trail system", protected bike lanes and new bike paths. Many roads would be changed from one-way to two way and go on road diets to reallocate right-of-way for wider pedestrian and/or bicycle facilities where feasible. One-way cycletracks would be added to N. Fort Myer Drive between 18th and Wilson; and to N. Lynn between 19th and Wilson. Two-way cycletracks would be added to Wilson between Lynn and Arlington Ridge Road. Wilson would also get bike lanes from Ft. Myer to Lynn, and 19th would get them from Ft, Myer to Moore. Protected bike lanes would be on N. Nash from 19th to Wilson. Arlington Ridge Road would be changed into an esplanade with a multi-use path on one side and a possible service lane below. 18th Street would be extended to the esplanade, and a pedestrian/bicycle bridge over Interstate 66 and the George Washington Memorial Parkway will extend from the Esplanade at 18th Street to the Mount Vernon Trail near Theodore Roosevelt Island. Part of 18th would be for cyclists and pedestrians only. The plan also calls for a study of the costs and feasibility for construction of a Custis Trail underpass of Lynn Street in the Rosslyn Circle area and a safe, inviting, accessible pedestrian and bicycle path connection to the downstream sidewalk of the Theodore Roosevelt Bridge. The plan also calls for marked bike travel paths through intersections, bike boxes, or separate stop bar locations for vehicles and bikes; wayfinding signage; bike parking and secure bike parking; and expansion of CaBi. VDOT has released its recommendations for realigning U.S. Bike Route 1 in the Northern Virginia District. The alignment of United States Bicycle Route 1 is being updated. US Bike Route 1 was established in 1982. Due to new development in Northern Virginia, the current routing of USBR 1 needs to be re-evaluated along with any possible alternates. The project study area extends from the 14th Street Bridge in Arlington County to the southern boundary of Prince William County. This study will include a detailed signing plan and cost estimate for future implementation. In Alexandria, the Main Route would follow the Mt. Vernon Trail, while a bypass (or business) route would use divert from the trail onto Royal and then to Wilkes and back to the trail via the railroad tunnel at Windmill Hill Park. At Fort Belvoir they recommend moving the Main Route off of Route 1, where it currently is, and onto the soon-to-open Mulligan Road and then Telegraph Road. It is less direct, but Mulligan will have a sidepath, and Telegraph has bike lanes. It will also be outside of the base's security perimeter. They also make recommendations in the town of Occoquan, where they recommend Union Street/Tanyard Hill Road and in Prince William County, where they recommend Minnieville Road to Prince William Parkway to Hoadly Road. But that gets a little out of my area. There is a survey on the recommendations that will be open until May 5th. The title of this WAMU article is "Alexandria Officials Want To Push Cyclists To Royal Street" but that isn't really accurate. Now city officials are turning their attention to Union Street, the easternmost street of Old Town, which is clogged with pedestrians, cyclists and automobiles. Transportation and Environmental Services Director Rich Baier says city officials are hoping to move cyclists off of Union Street. One city-sponsored study suggests focusing attention on Royal Street and lays out a series of potential strategies to move cyclists there, such as mini-circles, speed bumps or new signs. One of the suggestions is that the four-way stops be replaced by two-way stops. If the plan is to make Royal Street more appealing, then they are trying to pull cyclists there. If the plan were to make Union less appealing, they would be pushing them there. Former Old Town Civic Association President Poul Hertel said it would be a mistake to reward the bad behavior of cyclists by removing stop signs. "They have a problem adhering to the law, and so one of the ways to encourage them to move away from Union Street is to accommodate their lawbreaking by taking away the stop signs on Royal Street," Hertel said. If your problem is that cyclists break the law, this seems to be a solution. What is Hertel's alternative? Monday Morning Commute - Who are you, and what have you done with John Townsend? Congratulations to WABA award winners. A CaBi station at 28th and Meade in Arlington was damaged. Contact the Montgomery County Council to support the Metropolitan Branch Trail. An 83 year old woman went missing on the MVT. On why the M Street and L Street projects were decoupled: "These projects have lots of pieces. We have limited staff working on them. That's really all we can handle -- one at a time," said Mike Goodno, who oversees bike lanes for the D.C. Department of Transportation. A problem unique to L.A.: It has a bright green bike lane is on a street film crews like to film on. "the bright green of the bike lane is costly to erase if you're filming, say, a scene that takes place in the 1940s and you don't want a bright green bike lane running down the middle of your shot. It can't be lifted out of film by the usual post-production technique known as chroma keying, and it is more expensive to remove than other greens. And it's not just the street that needs to be color-corrected. Under the bright lights used for filming, the green bounces off the street and tints everything it touches, including actors' faces" But filming companies are being pretty reasonable, they want it painted another color. "There may not be 50 shades of green that will work for both bicyclists and moviemakers. But surely there is one." A natural combination? The Portland Art Museum is teaming up with the World Naked Bike Ride. "For the museum, its new exhibit "Cyclepedia" is opening -- a collection of 36 weird and wonderful bikes highlighting innovative design through the decades....And so it is on June 8, cyclists in various stages of undress will meet at the museum. They'll get a special deal to see "Cyclepedia" from 8 p.m. to 10 p.m., when the ride begins: The price of admission to the show is $1 per item of clothing. That means no clothes -- no charge." The Portland Art Museum is featured in this not-particularly-funny sketch from Portlandia. 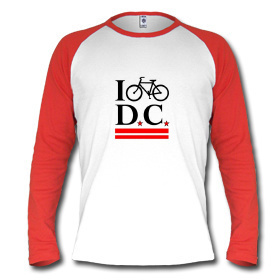 DC Bike ambassadors to hit the L Street cycletrack today. Look, it's the Penn Ave cycle-track bollards. One person stood on Penn Ave during rush hour and observed 25 cars make illegal U-turns across the cycletrack in 30 minutes. In response MPD put up those earlier mentioned "No U-Turn" signs and reportedly wrote some tickets. 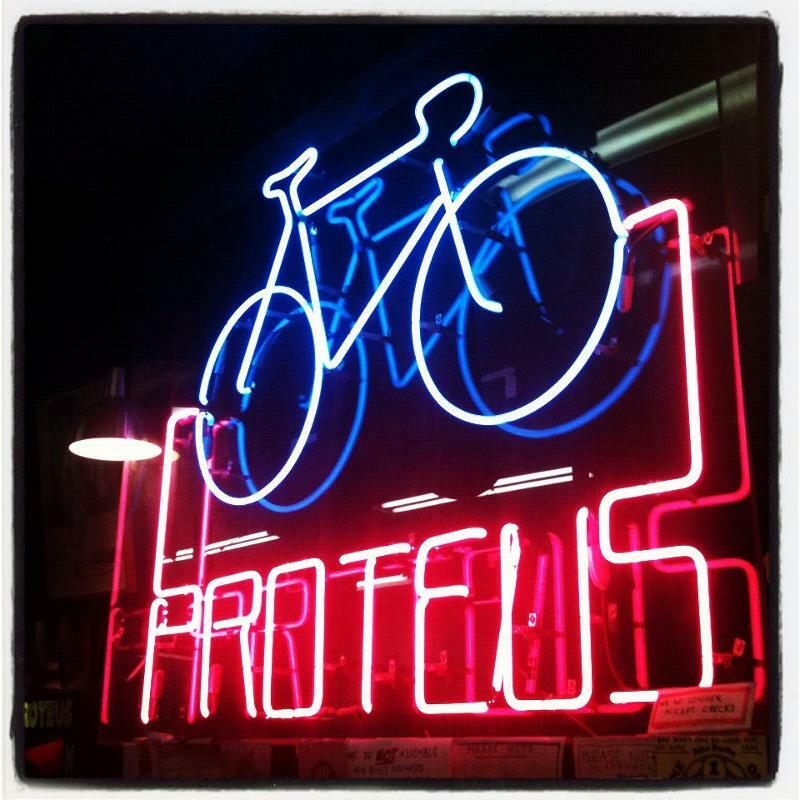 There was a forum on bicycling this week that featured Martha Roskowski of Bikes Belong, Jim Sebastian of DDOT and Ellen Jones of the Downtown BID, which is probably why you're seeing so many stories like this one. "What is the best way to bike in the Georgia Avenue corridor from the Matthew Henson Trail crossing to Forest Glen Road? As with the proposed Rt. 29 corridor route, Montgomery County DOT is planning to post bike route signs along the best Georgia Avenue corridor route and is asking the cycling community for input." WABA and MoBike make recommendation to Montgomery County about which facilities are needed to make bike sharing a success. "Cycling teams are calling for an independent audit into the sport's fight against doping after Lance Armstrong was stripped of his seven Tour de France titles." Wired on bike sharing and Capital Bikeshare. As part of the O’Malley Administration’s Cycle Maryland Initiative, Governor Martin O’Malley today announces 28 winners of the Bikeways Program Grants. The Maryland Bikeways Program, administered by the Maryland Department of Transportation, was established in November 2011 as a program to support planning, design and construction of projects that create and improve bicycle connections in Maryland to key destinations, like work, school and shopping. Friday Afternoon Commute - "I was a Bikeshare member, and it encouraged me to get a bike." Must Read: "Bike store owners say bike sharing is actually helping their businesses by fueling an explosion in bicycling enthusiasm. Moreover, bike shops say they are witnessing a culture change in their neighborhoods as more people leave their cars at home and hop on two-wheelers." and "a 2008 report in Bike Europe, a website for bike professionals, cited a 39 percent growth in sales of city bikes possibly attributed to the huge popularity of the Vélib system." Apartment building owners are looking to attract customers who are looking for bike-friendly accommodations. This includes locations near trails, access to CaBi or other bike rentals and storage or bike-repair rooms. The BAC has some suggestions for improving Ward 4 and the Georgia Avenue corridor. The ICC Trail isn't particularly good, perhaps we can make it better. “At least it’s not as bad as our Republican colleagues wanted,” complained Rep. Earl Blumenauer, Oregon Democrat, who has championed bike and pedestrian programs. “But make no mistake, it is not a bill to be proud of.” Meanwhile, the Heritage Foundation thinks cutting bike funding is fantastic. Mark Blacknell tries to discuss this at Patch only to have the comments overrun by Streetcar opponents. A rundown of Tour de France favorites, and of the way in changes how male cyclists view the Olympics. Mark Cavendish, for example, is focusing more on the Games in his home country than on the Tour. Meanwhile, news continues to trickle out about the accusations against Lance Armstrong.